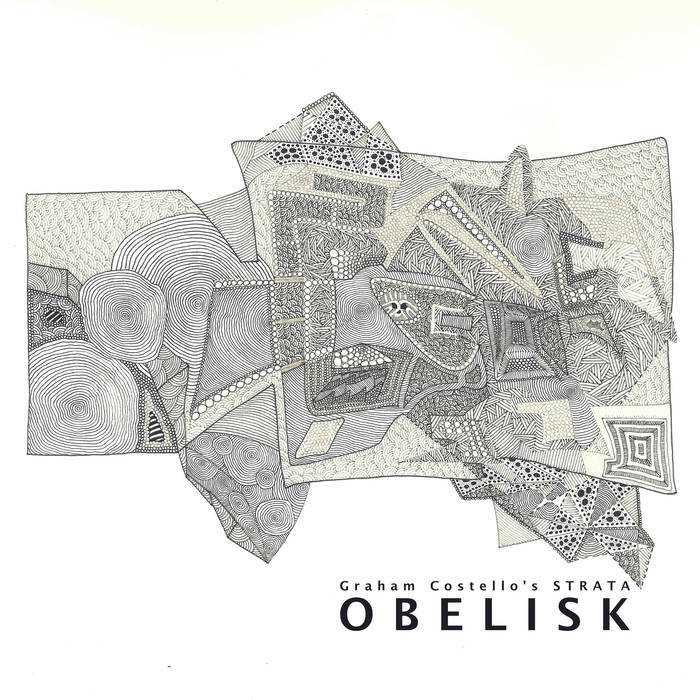 Out of Glasgow, Scotland comes a sextet fronted by drummer/composer Graham Costello, named Graham Costello’s Strata. They are pride and joy of newer British jazz scene, even that its sound combine more additional idioms. The band has introduced themselves on its debut full-length, with 8 tracks in, penned by Graham himself. But, it’s important to mention, that all the other members from the group are brilliant instrumentalists and performers. I would especially mention pianist Fergus McCreadie, and his sometimes strange, but unique style, as same as brass tandem – saxophonist Harry Weir and trombonist Liam Shortall. “Obelisk” as an album distribute many intellectual performing jazzy elements, fusion details, improvisation experiments, added by rocking energy and some progressive traces as well. Eight instrumental tracks also hide many fascinating arrangement creations, and unique performing “clashes” among band mates. Complete presented material is listenable and deserve repeatable playing. “Obelisk” is nice debut of the band, whose creative capabilities deserve certain respect.